From that early start, it was the legalisation of betting shops in the UK in 1961 that saw the rapid expansion of Ladbrokes business to become a very familiar brand on the nation’s high streets. Later diversifying into other leisure sectors, Ladbrokes also joined the throng of online bookmakers in 2000 and later that decade merged with Coral to form a true supergroup in online betting entertainment. Today Ladbrokes remains a formidable force in both the online and retail betting markets, and a considerable presence in the sponsorship of many prestigious sports events. Bonus Key Qualifying Criteria: Use promo code F50.18+. New customers only. Promo code ‘F50’ required. Certain deposit methods excluded. Min £/€5 on win or each-way bet excluding Tote or pools = match max £/€50 free bet. Min odds 1/2 (1.5). Bet must be made within 14 days. Free bet valid for 4 days. Free bet stake not returned. Single bets only. Free bet cannot be used on certain markets. T&Cs apply. There are no wagering requirements for any winnings. Winnings can be withdrawn as cash. Ladbrokes has many sections covering most sporting events that are happening around the globe 24/7. Ladbrokes provides a comprehensive stats service. Ladbrokes also offers the very impressive Ladbrokes Grid. Ladbrokes Grid allows you to track your bets, cash out, enjoy Racing Post info and exclusive offers. You can also check live stats, fixtures, tables and results. See Ladbrokes site for details on Ladbrokes Cash Out & Partial Cash Out. See Ladbrokes site for details on Ladbrokes In-play Betting. See Ladbrokes site for details on Ladbrokes Live Streaming. See Ladbrokes site for details on Ladbrokes PriceBoost. See Ladbrokes site for details on Ladbrokes #GetAPrice. Ladbrokes is another big name bookmaker that isn’t going to win any prizes for the ‘most elegant web site’ award with us, however that’s no reason to stop reading here. What Ladbrokes does well is deliver a sportsbook with incredible breadth and depth, married to navigation and search tools that make it a pretty easy task to explore and choose markets and bets you favour. Whether its future scheduled events or in-play matches you’re after, Ladbrokes has a compelling catalogue of opportunities to take a punt on with valuable supporting stats and livestream content wherever possible. Compiling your dream combinations on its virtual Bet Slip is an easy task of simply clicking the odds you like, and subsequent editing is equally easy whether from the Bet Slip itself or toggling selected bets off from the event page you’re viewing. Although not obvious from its main navigation, Ladbrokes sportsbook is also another service that can offer the increasingly popular option of requesting a custom market. Branded as #GetAPrice this is Ladbrokes’ offer to price up a bespoke market you tweet them and link you to that bet. We like such custom services, however it would be nice to see Ladbrokes list all these custom markets on its main site too, as rivals like BetVictor do. 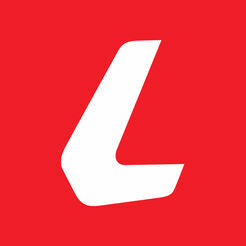 Ladbrokes offers an iOS app and an Android app but it’s just as easy to play on your Smartphone’s browser. You can watch your favourite sports live on iPhone, iPad & Android. Ladbrokes offers excellent 24/7 support, 7 days a week. Ladbrokes uses Live Chat, Email, Phone Support, Phone Betting and Post.